Jacque Preble moved to the Bay Area in the 1990s with her bouncing baby Doberman, William, and promptly started searching for a great place to leave her very energetic and social dog when she traveled. She found a lot of basic kennels where she felt her dog would be safe but couldn’t quite find that next level of care that she felt William deserved. Jacque vowed that, given the opportunity, she would open a dog hotel that fulfilled her vision – a place where dogs could play together, enjoy a peaceful environment, and where their parents could get them back seven days a week! The opportunity did arise and Jacque’s first dog hotel, Dogs’ Best Friend, became regarded as a top-notch dog retreat high in the Oakland Hills. Six years later it was time for a bigger home for Jacque’s vision. She spent 10 months looking for just the right spot – with a convenient location, a safe building, and outdoor space for the dogs to get fresh air and sunshine. The stars aligned and with a new name and a new location, and WOOF was born! No detail was overlooked as six years of experience laid the groundwork for creating an environment that would be both safe, comfortable and conducive to a good doggy time. Premium flooring both indoors and out, top-of-the line kennels and beds, separate areas for little and big dogs – every aspect of WOOF has been given the greatest level of regard for our canine guests’ safety and enjoyment! We are always on the lookout for talented and compassionate dog professionals who put the safety, happiness and well being of our guests first. 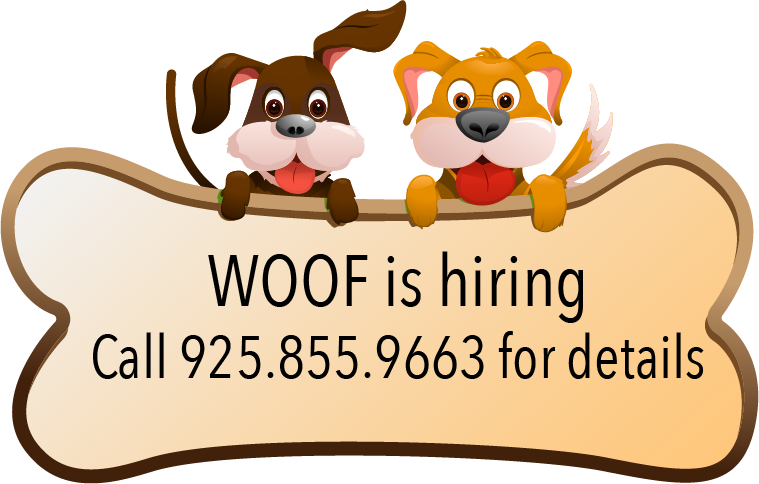 If you are that kind of person, send your resume to us at woofinfo@dogslovewoof.com! 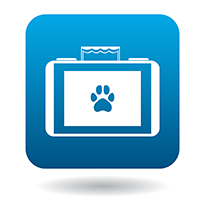 Thank you for entrusting us with the care of your dog. We are wagging like crazy.